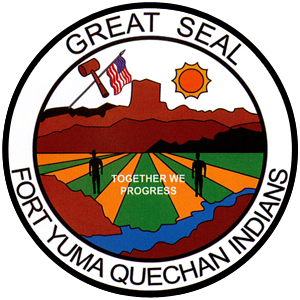 During the Mosquito Breeding Season, which is typically from March until roughly mid October, we will go and spray or fog Mosquito Insecticide to kill mosquitoes around homes and worksites on the Ft. Yuma Indian Reservation. We use a fogging machine that is on the back of our work truck and spray in the evening time around 7pm to 10pm depending on the wind speed. We also set a trap out across the reservation to see how many mosquitoes we will get in the trap and have it tested for diseases such as, West Nile Virus, Dengue, St. Louis Encephalitis and Zika Virus. Checking areas for standing water is also important to try and find any mosquito larva present. If we find any we will treat the area and monitor it for a few days till everything is dead. We also clear out brush from areas that we need to get into for fogging or that are our problem areas. Another job duty we assist in are calls about bees around homes. We will go and check the area and see what we are going to need to spray the bees. We mainly spray for bees in the evenings when they’re not as active. If done in the daytime when they are warm and active they may get too aggressive and sting everyone in sight. 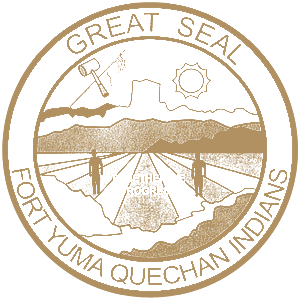 The Quechan Indian Tribe Pesticide Enforcement Program ensures compliance by conducting unannounced marketplace and maintenance yard inspections. The Pesticide Enforcement Program also monitors pesticide applications conducted by commercial, structural and agricultural pesticide applicators. These routine inspections and application monitoring are performed to ensure that pesticides are being utilized correctly, safely and according to their label for direction of use as well as in accordance with the Tribal Pesticide Ordinance. The program also assists and provides technical assistance to other Tribal Pesticide Programs within U.S EPA Region 9. The major element of the Quechan Indian Tribe Pesticide Enforcement Program is education and outreach. The types of education and outreach performed annually are on pesticide safety ("Read the Label First"); IPM (reduction of pesticide usage and safer alternatives); and WPS (prevention of heat stress and basic first aid). Education and outreach is conducted throughout the Community (Council meetings, Community sponsored events, schools, etc.) and to various audiences (Elders, Community members, children, staff, etc.) on a regular basis. The Quechan Indian Tribe Pesticide Enforcement Program reestablished a Worker Protection Standards (WPS) Program. The main component of WPS is conducting WPS training on pesticide safety, worker protection standards, first aid, and heat stress. WPS training is conducted with field farm workers and to Quechan Public Works, and Quechan Tribal Employees.